Here’s another Thanksgiving classic! See my post on Apple-Cranberry Stuffing too! 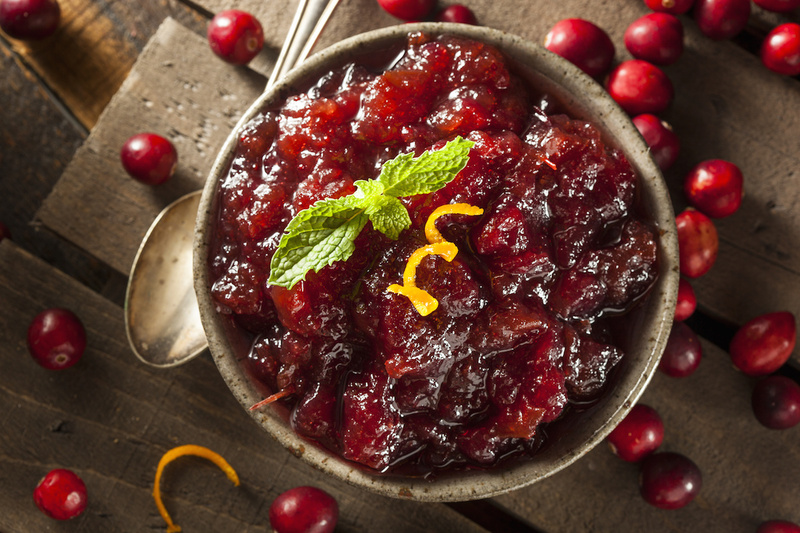 This recipe is great because there’s no added sugar like most cranberry sauce recipes. There is honey in it but you need it to balance the tartness of the cranberries, feel free to start with less and add it in slowly to your own taste! Another option to help the sweetness is to add in organic strawberries – it will all get mushy and no one but you will know that you put strawberries in your cranberry sauce! Remember that strawberries are highly sprayed so be sure to get organic! Cranberries have amazing anti-inflammatory and anti-cancer properties and are a vital food and supplement for anyone struggling with any chronic illness or disease. They are known to significantly boost the immune system and have a natural antibiotic effect in the body. Cranberries contain one of nature’s most potent vasodilators which opens up congested bronchial tubes and pathways making it essential for healing any respiratory condition. Cranberries are very high in tannic acids which gives them their powerful ability to protect and heal urinary tract, bladder, and kidney infections. These tannic acids are made up of compounds called proanthocyanidins which essentially coats the infection forming bacteria, such as E.coli and H.Pylori, with a slick cover and prevents them from sticking to the walls of the urinary tract and digestive tract. Since the bacteria are unable to attach themselves to anything they are flushed out of the system and unable to cause any infection or harm. This anti-adhesion ability also help to prevent stomach ulcers, gum disease, and cavities. This ability also helps to prevent cardiovascular disease by stopping cholesterol plaque formation in the heart and blood vessels and by lowering LDL (bad) cholesterol and increasing HDL (good) cholesterol levels in the blood. Cranberry juice has also been shown to increase the desirable “friendly” bacteria in the digestive tract which benefits digestive disorders such as IBS, colitis, gastritis, indigestion, gas, bloating, and constipation. Cranberry juice has also been known to help treat diaper rash by reducing pH levels in the diaper and thereby reducing irritation. Combine all ingredients except honey in a saucepan over medium-high heat. Bring to a boil, then reduce heat to medium-low and simmer until the berries begin to pop (about 20 minutes). Remove from heat and add the raw honey after it cools enough that you aren’t harming any of the honey’s medicinal properties. The sauce will thicken as it cools.